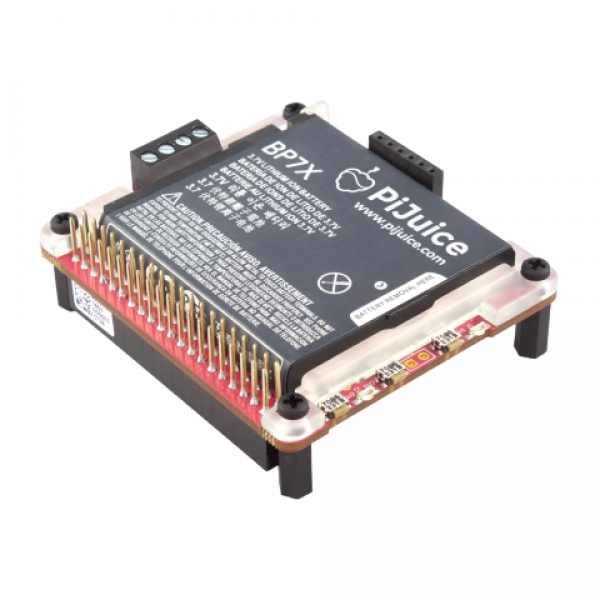 PiJuice HAT - A portable Power Supply with batterie for Raspberry Pi! 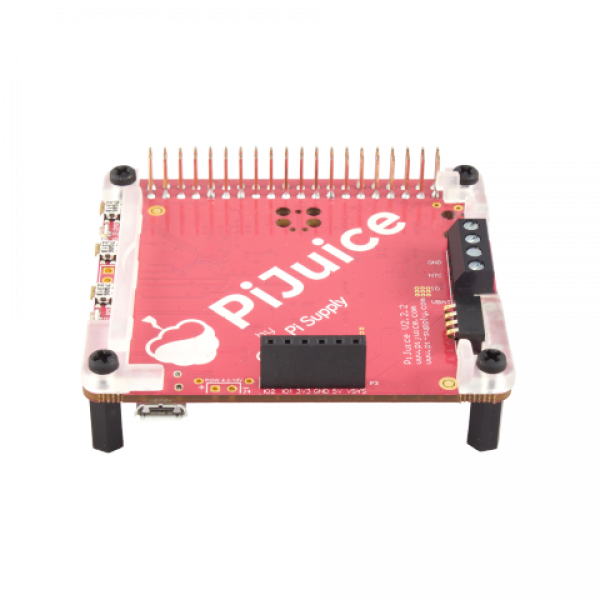 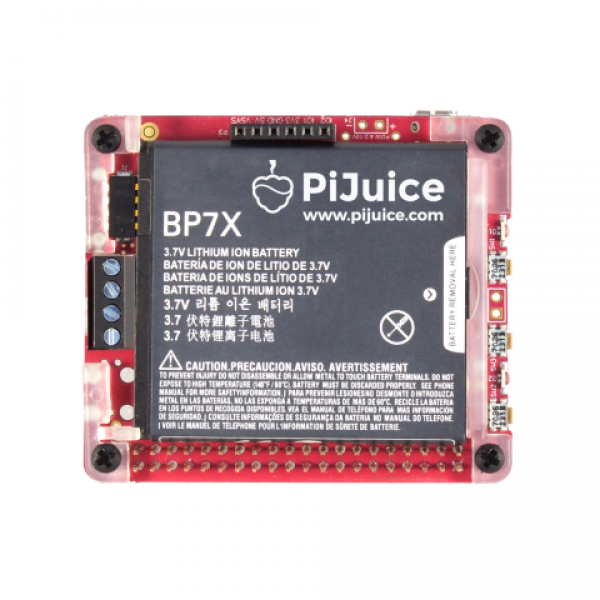 PiJuice HAT - A portable Power Platform for Raspberry Pi! 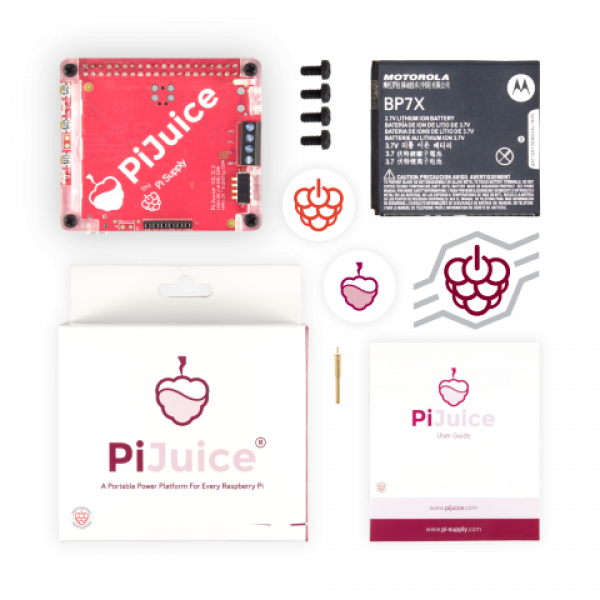 As one of the smallest systems around, there are so many amazing things you could do with the Raspberry Pi if it was self-powered and portable! 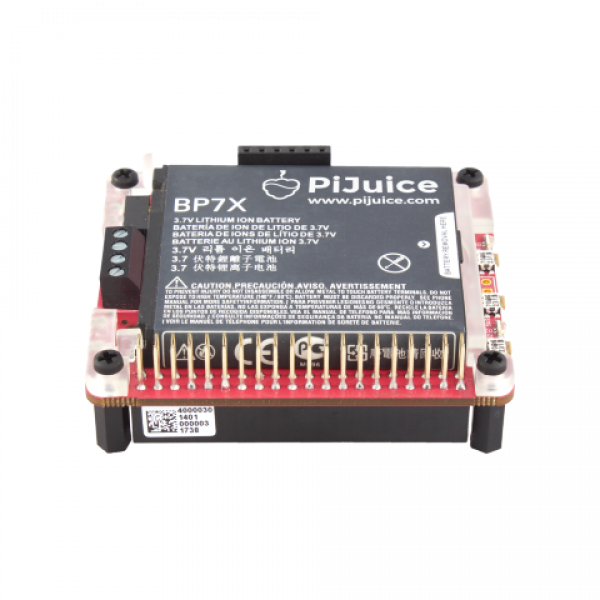 The PiJuice hat is a fully uninterruptible power supply that will always keep your Raspberry Pi powered. 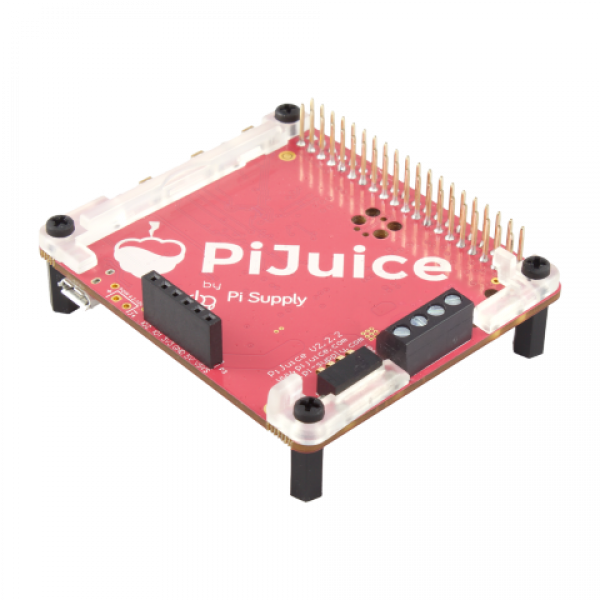 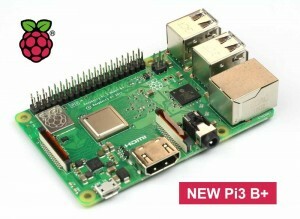 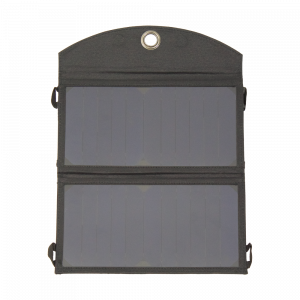 Our revolutionary PiAnywhere technology contained in every PiJuice hat - is the best way to take your Pi off the grid! 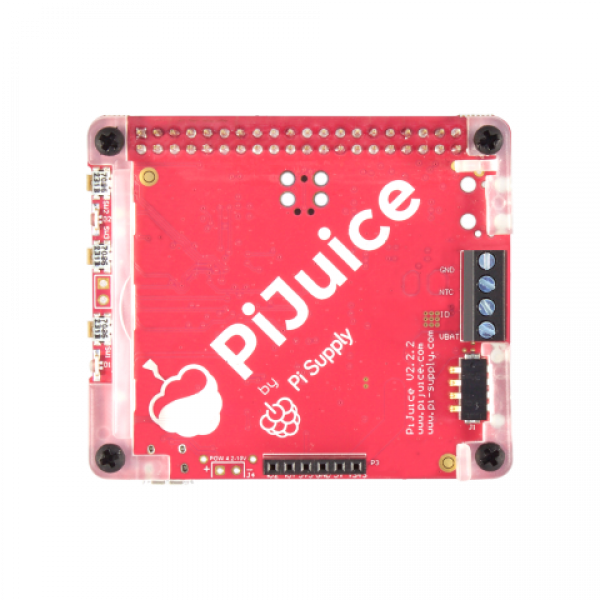 The real time clock (RTC) on board will let your Pi know what time it is even with no power input or internet connection. 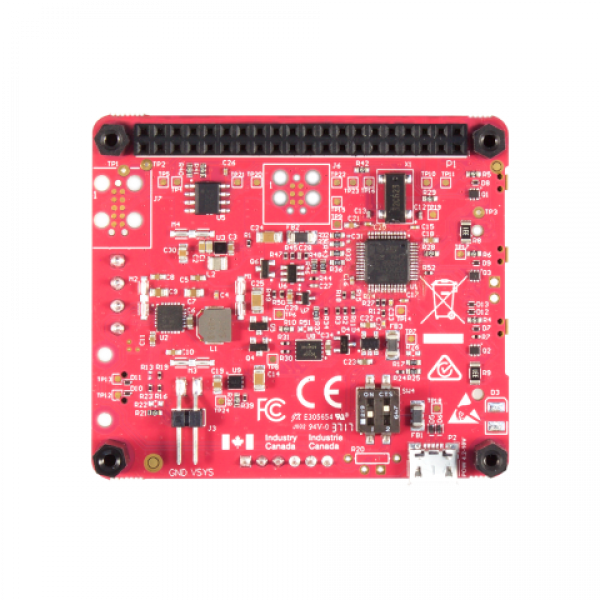 Alongside this is an integrated microcontroller (MCU) chip which will manage soft shut down functionality and a true low power deep sleep state and intelligent startup. 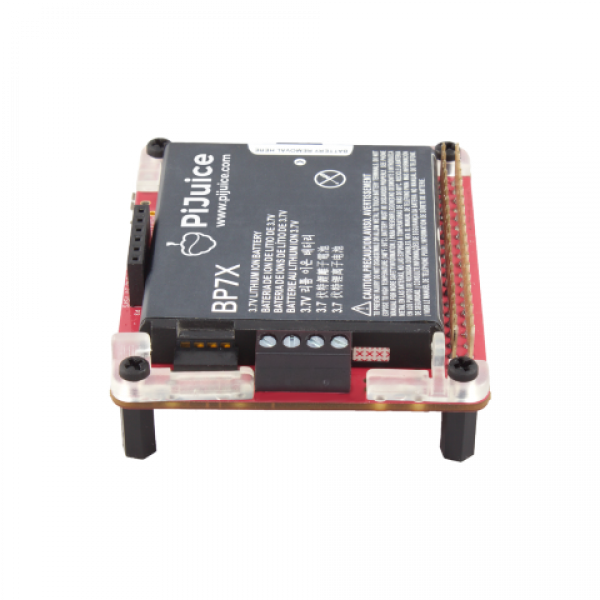 Onboard 1820 mAh off the shelf Lipo / LiIon battery for ~4 to 6 hours in constant use!